Furthermore, he uses some nice metaphors, to make it easier to grasp. It definitely helped to have a familiar picture that I could connect with the sometimes complicated topics. 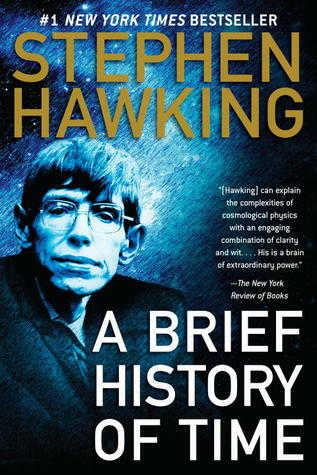 Hawking tries hard to make this as understandable is somehow possible, so that we all can get an insight into the history of the universe. He doesn’t always succeed and some stuff confused me a bit. But in general A Brief History of Time helped me a lot to learn about physics! A great book with fascinating content! For all those out there, who want to learn something new, pick it up! Did you read the book? Let me know in the comments what you think!